Nine canine chums gather together for a group selfie! This amusing and whacky image shows 9 dippy dogs posing for their very own "selfie". Part of British artist Howard Robinson's "selfies" range, the dogs featured are a Yorkshire Terrier, Pug, west Highland Terrier, black Labrador, golden Retriever, bull Terrier, King Charles spaniel, dachshund and a Chihuahua. 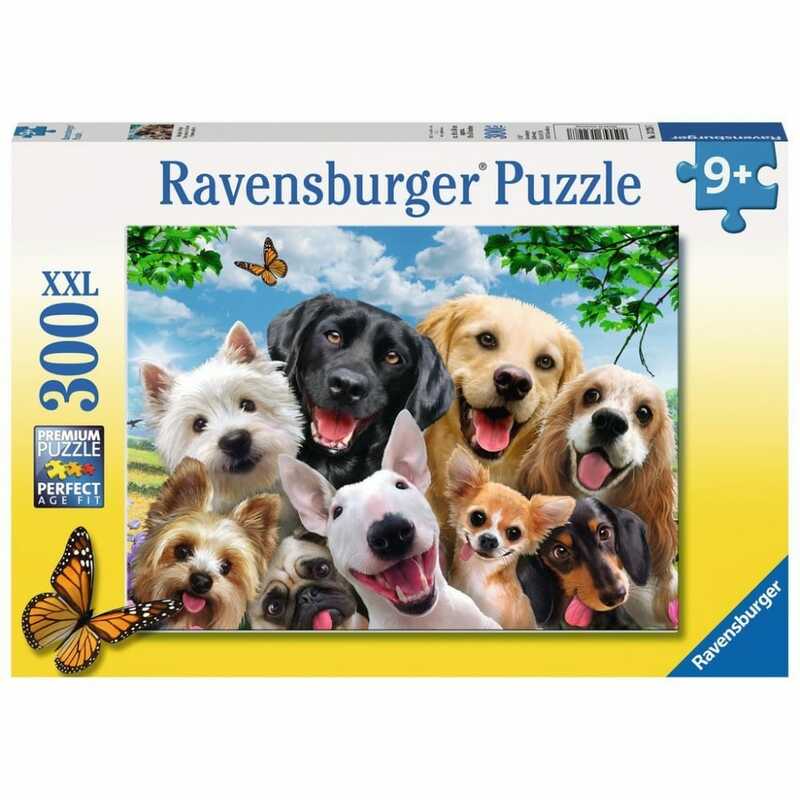 This puzzle would make a great gift for any dog lover, especially those aged 9 years upwards. The puzzle is cut to 300 large pieces, and measures 49 x 36cm when completed, with a linen finish print on the jigsaw image to minimise glare.